Divorce Category Archives — Page 2 of 19 — Long Island Family Law and Mediation Blog Published by New York, Family Attorney — Law and Mediation Office of Darren M. Shapiro, P.C. 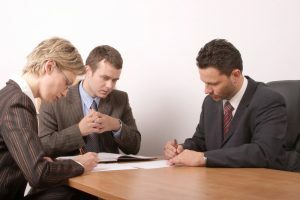 What’s the Difference Between Divorce Mediators and Review Attorneys? There are many different ways to handle the complexities of a New York divorce. Often, as a divorce attorney that also offers mediation and collaborative law, I receive calls from clients who aren’t sure what kind of process they want to use for their marital issues. In some situations, clients may want to access my assistance for legal advice, but then they also want to use me as a mediator too. Unfortunately, this isn’t an option that I can provide, because, in my view, it would potentially harm the neutral ground required for a successful divorce mediation process. In New York divorce mediation, I find that the process works best when both spouses come together in neutral territory and discuss their issues with a third-party who is objective in the case. If, as an attorney, I met with one side of the case before mediation, then this can lead to discomfort for the other party. Some clients would even feel as though they’re not getting a “fair” experience. 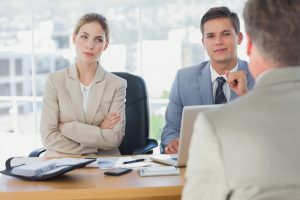 Though, in some rare instances, it’s possible for me to have a very brief conversation with one spouse before the mediation begins, however, I wouldn’t give my legal advice until the person indicates that they’re happy to use my service as an attorney, whether that is review attorney, negotiator or litigator. It’s impossible for anyone to predict the future with complete accuracy, as the world we live in is often a very unpredictable place. However, we can look back at the lessons that we’ve learned over the years and use what we know in the present to guide predictions about the years ahead. That’s exactly what I plan to do with this blog post about mediation in 2019. This blog is conjecture and should be taken as nothing more than my best guess at what will be available in terms of alternative dispute resolution and mediation options for couples in 2019 and the years beyond. Can a Judge Defer the Sale of a Marital Residence in a New York Divorce? There are several options when it comes to determining what happens with the marital home in a New York divorce. Of course, the court may award the home to either party and require the party receiving the home to buy out the other spouse. A court may also order the sale of a marital residence, and divide the proceeds using the equitable distribution method. Alternatively, the court could defer the sale of a marital residence either by agreement or by order of the court. It is not common to see a deferred sale of a marital residence when it is not be agreement. 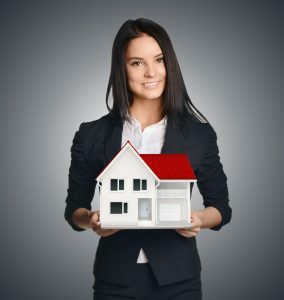 This is because a deferred sale by agreement may require the parties to co-own the house for a set period before selling the home or force the non-titled spouse to wait to receive payment for the home. This presents a host of issues, many of which may be insurmountable for a couple in the midst of a divorce. The deferred sale of a marital residence can, however, be included in a divorce settlement if sufficient thought is put into the agreement and the parties are willing to agree on certain issues. The economic detriment to the spouse who would not receive the home. One of the most significant decisions in a New York divorce is what happens with the couple’s marital home. In most cases, a couple’s most valuable asset is their home. Aside from the financial value, there are often other considerations such as the emotional value a house has to one or both parties. In most cases, the couple can work out which party stays in the marital home and what offsets are appropriate. However, if that is the parties are not able to agree, then a judge will determine what happens with the marital home. Usually, on my Long Island and surrounding area cases, I find that the Judge’s position is that if an agreement about the house is not made, the court will order the house sold and the proceeds divided. Given both the financial and emotional value of a home, though, some might prefer not to sell the house unless the parties desire to do so. However, there are circumstances in which a New York divorce judge will force the sale of the marital home. Particularly when the finances would not allow one spouse to remain in the home, a sale of the home is usually the case. In New York divorce cases, one of the judge’s most important roles is to preserve the value of the couple’s assets. Indeed, under New York law, a judge is given broad discretion to act regarding the determination of title to the property. Likewise, when discussing equitable distribution, if the court believes either of the parties is wastefully dissipating the couple’s assets, the court may make appropriate rulings. Thus, if retaining ownership of the marital home will result in the dissipation of the couple’s assets, the court can order the home be sold. For example, if the parties are not able to afford the mortgage payment for the marital home because the primary breadwinner in the family lost her job, the court may intervene and order that the home be sold rather than go through the foreclosure process. This is even the case if one of the spouses objects to the sale of the home. Are Ongoing Health Insurance Benefits Considered Marital Property in a New York Divorce? When a court sets out to divide a couple’s assets in a New York divorce case, the court will not simply split the assets down the middle, but instead it will employ a system called “equitable distribution.” Under an equitable distribution analysis, a court considers several factors when determining the allocation of assets. Importantly, however, only certain assets that are determined to be “marital property” are subject to equitable distribution. Thus, a party’s separate assets – i.e., those that were obtained before the marriage – will remain with the party to whom they originally belonged. As a general matter, under the New York Domestic Relations Law, courts will consider assets that were accumulated during a marriage as marital property. Of course, certain exceptions can make the determination of what constitutes marital property fairly complex. For example, a question that often arises is how courts consider pension benefits and the provision of future health care benefits. The pension benefits that a party accrues while married will typically be held to be a marital asset that is subject to equitable distribution. The portion of benefits that was obtained before the marriage, however, will not be included as marital property because it was accrued before the marriage. Can a Court Order the Payment of a Spouse’s Medical Expenses Following a New York Divorce? As we have previously discussed in past blog posts, a New York family court can order payment from one spouse to another of maintenance during the pendency of the divorce as well as after the divorce is final. Payments made during the pendency of the divorce are called temporary maintenance, pendente lite maintenance or sometimes spousal support, and payments made following the divorce are termed spousal maintenance or post-judgment maintenance. Under the New York Domestic Relations Law, section 236(B), a court is required to consider a formula based on income and certain factors when determining a deviation from the formula guidelines for the appropriate amount of temporary maintenance, spousal support or maintenance. By and large, the factors are similar for the two types of awards, with the difference being that spousal support or temporary maintenance is designed only to last during the divorce proceeding. 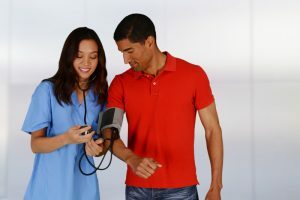 When it comes to determining whether a court can order one spouse to pay for another spouse’s medical expenses, the first place to look is at the factors outlined in section 236(B). The statute lists a number of factors that a judge should consider, none of which explicitly mention the payment of medical expenses. However, several of the factors tangentially relate to medical expenses. So, in effect, a court could indirectly take a party’s medical expenses into account. Who Pays for Health Insurance Following a New York Divorce? One of the most critical and often overlooked issues in a New York divorce is how the parties will obtain health insurance. Many families, especially those with only one working partner, rely on health insurance benefits that are obtained through the working party’s employer. However, in the event a couple divorces, those insurance benefits will no longer be available to the non-working spouse and arrangements will have to be made to provide for their health insurance. One option a non-working spouse has to obtain health insurance after a divorce is to obtain COBRA benefits. COBRA is a federal law that requires insurance companies to extend coverage to qualifying beneficiaries in the event of a qualifying event. Commonly, COBRA benefits are offered to an employee when their position is terminated; however, COBRA benefits are also available for spouses after a divorce. One downside of COBRA benefits is that they can be quite costly because the employer will no longer be covering any of the cost. Thus, determining how each spouse will obtain health insurance benefits and how those benefits will be paid for is often a contested issue.